Kodiak Bear! The name is synonymous with adventure, wilderness, and the world’s largest land predator. 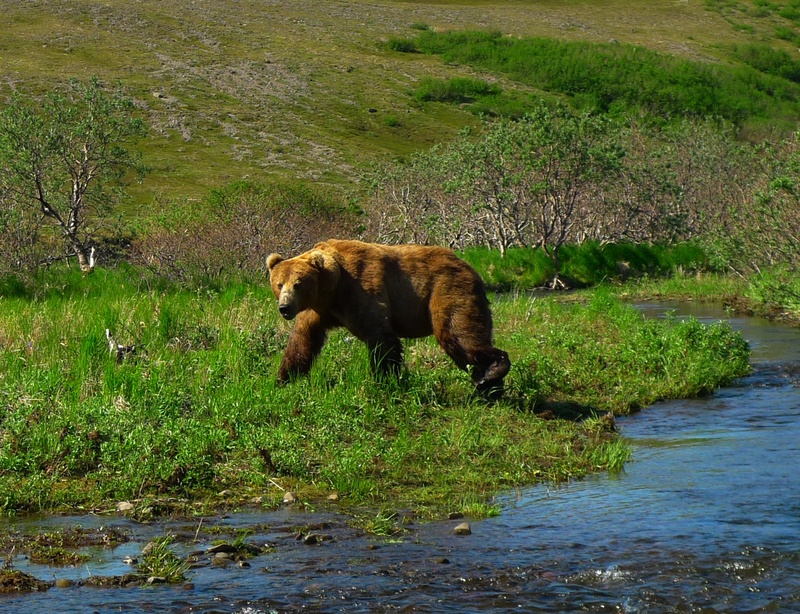 Our bear hunts take place in remote areas of Kodiak Island. Bears taken in these areas average 8.5-9 foot with a 26 inch skull average. Every year, a mythical ’10 footer’ with a skull measurement over 28 inches is taken. Registered Guide Taj Shoemaker has guided brown bear hunts and personally hunted Kodiak and the rest of Alaska for over 20 years. In order to maintain both a healthy bear population and great trophy potential, the State of Alaska limits bear hunts on Kodiak by a random drawing system. Drawing is required for all of our bear hunts. Booking is limited. Don’t miss this opportunity at an adventure of a lifetime. Drawing application is in November for spring hunts. For fall hunts, drawing is in May. Occasionally, if an area is under-drawn, later opportunities will arise, but cannot be counted on. Call or email today for more information on hunting the majestic Kodiak Bear.